Coquina Sands Homes: Showcasing sparkling bay views and desired southwestern exposure, this exquisite estate boasts custom elements and the finest finishes throughout. No detail was overlooked in this magnificent modern gem; a gorgeous kitchen offers black galaxy granite countertops, Brazilian walnut cabinets and an expansive pantry with extra full-size refrigerator and freezer. Sprawling across over 160 ft. of water-frontage, an inviting outdoor space welcomes you with extraordinary entertainment areas and a spectacular pool and spa. The outdoor summer kitchen has a bar, grill hood and refrigerator. Perfect for the boating enthusiast, this residence includes two boat lifts and a jet ski lift. Situated in a lush tropical landscape, you are just moments from the sugar sand beaches, fine dining and world-class shopping in downtown Naples and the Waterside Shops. Coquina Sands Homes: H.13061 - Situated among the huge banyan trees and mature landscape of Coquina Sands, this rugged yet modern home delivers warmth and sophistication while providing an unmatched living experience. The uniquely shaped lot offers a huge side yard with ultimate privacy and allows for a 60’ Resort-style lap pool with a fountain wall. Spend warm afternoons relaxing on multiple pool decks and entertain family and friends with the well-appointed chef’s summer kitchen, and outdoor dining/living areas equipped with a Bioflame fireplace and electric screens and hurricane shutters. Designed by the world-renowned Kronen Design Company this custom built home’s interior includes: a Mahogany entry door, over-sized porcelain tile and wide board oak flooring, wood-accented ceilings with LED accent lighting, Control 4 automation, 6 security cameras, and a temperature controlled wine room with a changing LED bartop serves as the home's centerpiece. Take the glass elevator to the second floor where you’ll find two guest suites, a gracious loft area, a study, and an expansive master suite. The master suite includes: steam shower, his and hers Toto toilets, marble floors, and granite counter-tops. Coquina Sands Homes: The Nautilus is an exacting definition of custom home design. Located on a huge corner lot, and a short walk to our beautiful white sand beaches. A modern coastal retreat drawn by architect Jonathan Kukk, AIA. Interior finish selections by Design West, and a bespoke furnishing and design package by Robert Brown of Atlanta. This A list of artisans collaborated in concert with Gulfstream Homes to execute one of the finest single level residences in Naples. 6,651 sq ft of luxurious and seamless indoor and outdoor living space. 5 bedroom suites and 5.5 baths all on one level with soaring ceilings reaching 21’ in the great room accented by stained white oak and unique cloud-style ceilings in guest rooms with LED back lighting throughout. Control 4 home automation with security cameras and a full electronics & audio package. Fine cabinetry and built-ins crafted by Ruffino Cabinetry. Legno Bastone white oak floors throughout and large Andersen windows pour in natural light. Pocketing slider door systems collapse to integrate the outdoor living with natural shell stone decking and roll down screens, all created by Architectural Land Design to complete this tropical oasis. Flood Zone X! Coquina Sands Homes: Tucked away on a half-acre site, on one of Coquina Sands most private streets, sits this custom residence thoughtfully designed by Jon Kukk and masterfully built by Harwick Homes. Exceptional floor plan with the utmost attention to detail, including exposed box-beam and rafter ceilings, reclaimed antique-wood flooring and an incredible Andersen window/door package. Epicurean kitchen that includes crisp white custom cabinets, gray double island with Pompei Quartz countertops and Wolf/Sub-Zero appliance package. French doors lead to a secluded family room, which features a Lutron system and electric shades; ideal for game day or a late night movie. Unrivaled master suite with impressive custom closets, dual showers, water closets and Kohler Sunstruck stand-alone tub. A private door off the master leads out to the dog run; perfect for Fido’s last outing before bed. Upstairs features include a guest suite, exercise/5th bedroom, bonus and storage room. Expansive outdoor area with 50’ pool, low-maintenance Zuri Decking, motorized screens, EVO Affinity grill and outdoor shower. Four-car garage that can accommodate the most acclaimed collector completes the property. Coquina Sands Homes: Southwestern views of Hurricane Harbor are prevalent immediately upon entrance into this impeccably maintained estate. Impressive living room with gas fireplace, cathedral ceiling and French doors leading directly to the sprawling outdoor area, with pool and spa and outdoor kitchen. Classic, well equipped kitchen features stainless steel appliances, double ovens, wine cooler, breakfast bar and center island providing ample prep space for your gourmet meals. Grand master suite offers a voluminous master bath with private garden beyond. Encompassing four bedrooms and a den as well as formal dining, residents have many opportunities to comfortably house family and friends. Coquina Sands residents enjoy close proximity to downtown Naples as well as to the white sandy beaches at Lowdermilk Park. Coquina Sands Homes: H.13984 Expansive southern lakefront views and The Naples Beach Hotel & Golf Club golf course beyond greet your eyes as soon as you enter this magnificent estate home on an oversized lot. This contemporary home has undergone extensive renovations and features oversized rooms throughout. Vaulted ceilings in the main living areas and master bedroom suite and hand scraped wooden floors add to the elegance of this fine crafted home. Hidden behind lush tropical landscaping, this home offers its owners a deck on the lake, shaded Koi pond, a two-story screened lanai covering the pool, spa, outdoor kitchen and stone patio which will entice you to maximize your time outside. Inside, the designer kitchen and great room make this large home feel warm and cozy. Each bedroom has its own bathroom with an additional half-bath for guests. There is a second master suite on the second floor with French doors to a deck overlooking the lake and golf course. Walk to the beach. Relax at home or take a short drive to Old Naples, Waterside Shops or Mercato for fine dining, shopping and outdoor entertaining. 2 car attached garage, extra storage. Coquina Sands Homes: Perfectly situated southern exposure Lundstrom Development built home. Located in Coquina Sands only blocks from Lowdermilk Park. This home offers 5 Bedrooms plus a media room and 5 Full Baths with 3769 SF of air conditioned space. Very private cul-de-sac setting. Slated for completion in mid 2019, this new construction property presents an expansive open concept great room floor plan. Gourmet kitchen with Wolf and Sub Zero appliances. First floor master opening up to an extensive outdoor living area. 4 bedrooms and 3 full baths upstairs. Outdoor kitchen with Wolf appliances. This is an exceptional home only six blocks from the beach on Banyan Blvd. 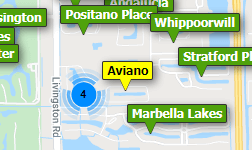 Very close proximity to Olde Naples. Coquina Sands Homes: The spectacular light-filled four-bedroom-plus-den, five-bath home with high ceilings flows gracefully from one engaging space to another. The large great room floor plan has four spacious bedrooms plus an office all situated on one level. There are multiple sitting and socializing areas in the home including a formal living room overlooking the inviting pool and spa. The family great room has a fireplace that creates an unsurpassed atmosphere of elegance. The chef's kitchen features a 6-burner cook-top, wall oven, convection oven and dual dishwashers; all new as of November of 2017. Each bedroom in the home offers comfortable and private retreats for family and friends. Numerous glass doors lead out to a spacious lanai and pool area allowing the interior living spaces to blend harmoniously with exterior spaces and the surrounding lush vegetation. This home lives like a sublime resort wrapped in lush landscaping. A tropical setting and one of the most private settings in the area. Coquina Sands Homes: Congratulations...you have found your home! This home has all the bones to make this one truly spectacular. Located in Coquina Sands on .42 acres, you are walking distance to Lowdermilk Beach, Coastland Center Mall, Publix, and a short drive to Downtown Naples. This two story home has been well taken care of and loved by the original homowners.Over 5,000 square feet of living space-includes 6 beds/6 full baths, formal living and dining rooms, expansive kitchen complete with island and large breakfast bar open to family room with fireplace and wet bar.The spacious first floor master suite has a master bath fit for a king or queen complete with his and hers counters and jetted roman tub.A guest bed/den on the first floor with a hall full bath.Walk up the grand wooden staircase to the loft and 4 beds with balcony access and 3 full baths. The backyard is simply incredible with a large pool and spa and waterfall feature, as well as plenty of grass for pets or children to play.A cabana for entertaining with a full bathroom. Gated entrance to a large, paved circular driveway and a privacy wall that surrounds the entire property. Great Western Exposure for beautiful Naples Sunsets. Coquina Sands Homes: Located just steps to Naples' finest beaches and Gulf Shore Blvd, this immaculate estate boasts numerous custom upgrades the most discerning Buyer could appreciate. A spacious interior offers residents three bedrooms plus study, two and one half bathrooms cathedral ceilings in living room and volume ceilings throughout. Every bathroom in the residence has been completely redone, hosting new marble vanities and new fixtures. An impressive kitchen features granite countertops, double wall ovens, a new Bosch dishwasher, new beverage refrigerator as well as garbage disposal, capiz shell backsplash, an island with cooktop plus butler's pantry and more. Other desirable upgrades throughout the home include custom cabinetry, custom millwork, plantation shutters, a gas fireplace, newer A/Cs in 2016 and 2018, a new hot water heater, and indoor/outdoor Russound system. The exterior is a haven for entertaining, featuring an impressive acid-washed 36 foot heated pool with spillover spa, outdoor shower, custom outdoor lighting, new water lighting, new spa electric panel, and Rollsecure Shutters & a fresh coat of paint. Coquina Sands Homes: Rare opportunity to own a lovely, truly unique home with an outdoor sanctuary. Situated on a special lot within walking distance to the Lowdermilk Park Beach. Recent updates include a metal roof, impact glass, new pool deck, along with remodeled, contemporary design, kitchen and baths. The home's floor plan is great for entertaining and offers privacy for family or visiting guests. The beautifully landscaped lot is nearly 1/2 acre, easy to care for and big enough for expansion of the home! A Utility Easement borders the east side of the property increasing the privacy of the yard. Coquina Sands Homes: Renovated in 2003 to add a 3 car garage, large master bathroom and closets, open kitchen and great room, and other upgrades, you can enjoy the existing home, or build your dream home, in the beautiful neighborhood of Coquina Sands. The large corner lot (almost a half-acre) is landscaped for privacy and is situated on a quiet, tree-lined street, less than a half-mile from the sugar white sands of Naples beaches. The centralized location provides convenient access to all that Naples has to offer including shopping and dining, and is just minutes from downtown and Old Naples. Coquina Sands Homes: H.13661 - BEST DEAL IN COQUINA SANDS...PRICED TO SELL FAST!!! UNIQUE, ONE-OF-A-KIND HOME located west of 41 with paver motor court front entrance driveway plus a 3-car garage and side driveway off Orchid Drive! 2839 sqft under air plus an additional 1336 sqft of paver outdoor living area around a wooden pergola and open air pool. This 3 bedroom plus den/3.5 bath pool home sits on a .41 acre corner lot surrounded by lush vegetation. While remodeling this unique historical home, the owner spared no expense to keep that old Florida charm, all the while making the home up-to-date with today’s luxury needs. The main living areas have original, very rare exposed vaulted beam and board white ceilings true to the original 1958 home. Here is just a few of the attention to detail items that one will appreciate.....Rocky Mountain Brass entry hardware and light fixture, Therma-Tru french doors throughout, rough sawn cedar exterior, wood burning fireplace, Kitchen Aid Architect Series appliances and Viking cooktop, Murano Italian Glass sconces line the powder room and master bath, plus an irrigated Orchid garden on the south side of the home. This home is not a tear down!!! Coquina Sands Homes: Exciting opportunity in the heart of Coquina Sands. This property is a rare find in today's market. Perfect location for the buyer who seeks the convenience of being in close proximity to the beach and the city's Fifth Avenue South and historical Third Street shopping, dining and cultural district. The improvements and/or structures on the Property are being sold in their "As-Is" condition. The Purchase Price is based on the land value only and no value is being attributed to any improvements and/or structures on the Property. Coquina Sands Homes: LOCATION, LOCATION, LOCATION. This property is a TEAR DOWN in prestigious COQUINA SANDS, the neighborhood right next to OLDE NAPLES. The property is being marketed as a PACKAGE - LOT AND NEW CONSTRUCTION. (Lot can be sold alone at market value) The project offers a brand new quality home with 3 BR/2.5 Baths, great room concept, and split bedrooms. All in 2,297 comfortable sqft.. Extras like 42' cabinets, crown molding, impact windows and a great pool package and landscaping have already been included in the price. Many other special features you'll have a hand in choosing. See this property and we'll go to the builder's showroom. Coquina Sands Homes: MOVE IN OR BUILD IT! THIS OVERSIZED LOT IN COQUINA SANDS IS READY FOR YOU to move into or build your DREAM HOME. This home features 3 bedrooms, 2 large bathrooms, den, home office and chefs kitchen, in one of the most sought out and exclusive neighborhoods in Naples. Your outdoor mecca has a large deck, active water feature which is truly inviting with screen enclosed private heated pool You are within walking distance to the Beach or a short bike ride to Downtown Olde Naples. The building opportunity is also very desirable with this oversized lot. The school district is also very excellent. This is a MUST SEE. Del Mar Coquina Sands Homes: Stunningly renovated residence in sought after 06 stack in southwest corner of Del Mar Club! This 6th floor 2/2 boasts sweeping Gulf of Mexico views, endless sunsets and spacious private balcony. Perfect Florida getaway being offered turnkey furnished with casual interior design with decorator colors. Fabulous kitchen with stainless appliances, oversized sink, light wood cabinets with soft close drawers and storage pantry all opening to the living area with westerly windows and Gulf views. Large 24" tile floors, crown molding, master bath with granite top vanity, tiled walk-in shower with seamless doors. Impact glass windows and sliding doors. New HVAC in 2017. Del Mar has an onsite manager, remodeled club room and heated pool with Chickee Hut. Prime location across from Lowdermilk Park and Charleston Square (First Watch), and is just minutes from Olde Naples, where you can experience fine dining, shopping, entertainment, the Naples Pier and endless sand beaches. Del Mar has NO Land Lease! Calusa Club Coquina Sands Homes: Gorgeous Rarely available 2 bed, 2 bath co-op in Calusa Club. One block from Gulf shore Drive. You can walk to Laudermilk Beach in 3 minutes. Beautiful White Kitchen with All new cabinets and Quartz counterops. New Appliances and tile floors throughout. Bathrooms have new tile and vanities and light fixtures. This unit is on lovely Banyan Blvd and across the street from First watch. There are so many other great restaurants nearby with the Naples Beach Hotel and the Edgewater Hotel a short walk away. This home feels like new construction and the location cannot be beat. At this price point, it will not last long. Del Mar Coquina Sands Homes: C.14901 - Your beach life awaits! Located just across the street from the white-sand beaches of the Gulf of Mexico! This fifth floor unit provides a front row seat to breathtaking sunrises, sunsets and cool coastal breezes from your balcony. The Del Mar building is conveniently located at the corner of Gulf Shore Blvd. and Banyan Blvd., only steps away from Lowdermilk Park. This beautiful 2 bedroom 2 bath condo is exceptionally well maintained with a completely renovated kitchen equipped with granite counter tops, stainless steel appliances, updated light fixtures and ceramic wood-tile flooring. This open dining/living floor plan complete with tile throughout main living area. Sliding glass doors lead to the very private terrace which is accessible through both the dining/living area as well as owners suite. This is a fantastic co-op opportunity with amenities that include a generous size pool, community room and renovated cabana. On-site professional management and no land lease! Walk to First Watch restaurant or to the Naples Beach Club for dining on the beach and live music. A true gem! Need professional assistance selling your property at Coquina Sands Naples? Find out how an Area Specialist can help to generate more property exposure in order to get the most money for your investment in the least amount of time.